Made-to-order printed decals or stickers may be small, but they pack a significant punch. They are extremely versatile in their application – a surfboard, a door, a truck, an in-store display, or on the hull of a rowboat crossing the Pacific Ocean (yes, really!). 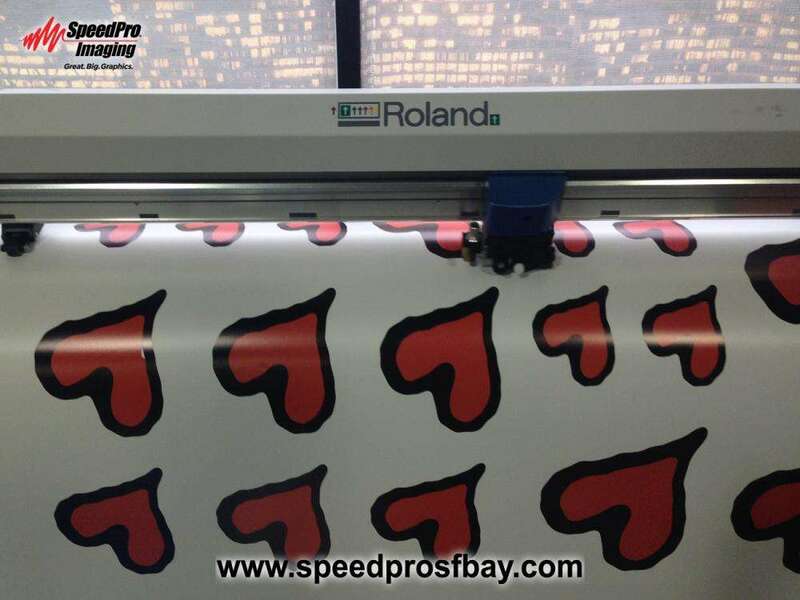 At SpeedPro Imaging in San Carlos, we have multiple printers and cutting systems to create runs from a few dozen to hundreds or thousands. And since our shaped decals are precision cut on a computer controlled plotter, we avoid the time and cost of old fashioned dies to create shapes. 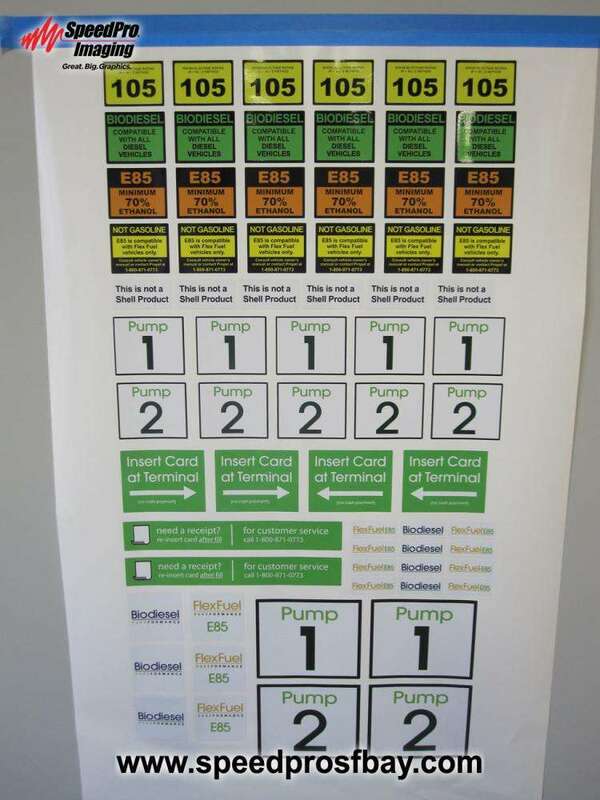 SpeedPro can also customize individual decals using “variable data” for name tags or badges. 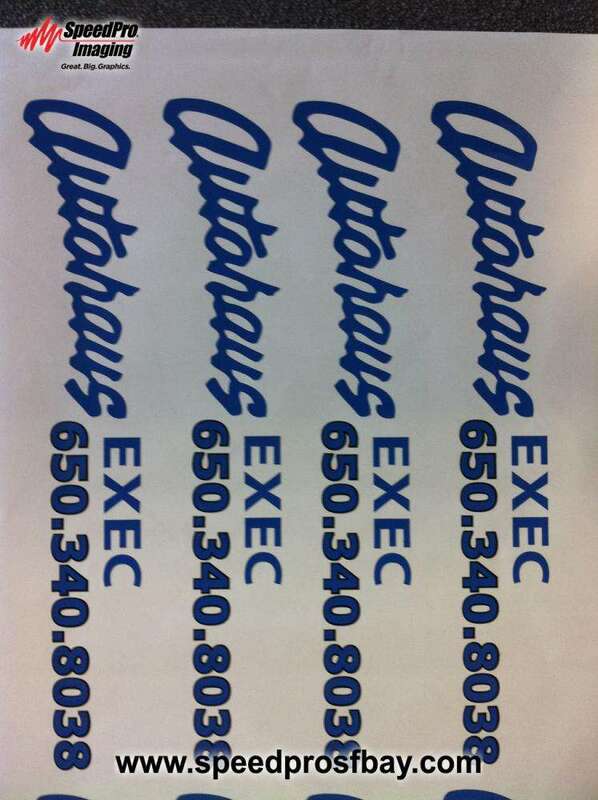 Decals are perfect for your fast-paced and ever-changing marketing needs. Quick for us to produce, inexpensive to distribute and apply. and removable when it’s time for the next promotion. We stock a wide variety of adhesive vinyl colors and styles, so whether you need a full color print or a more understated frosted vinyl, SpeedPro is stocked and ready to help. Logos, promotional stickers, window displays, sales specials, product IDs, floor arrows, bumper stickers… the sky’s the limit! We can brainstorm with you and explore all the decal possibilities – many you may not have even considered! 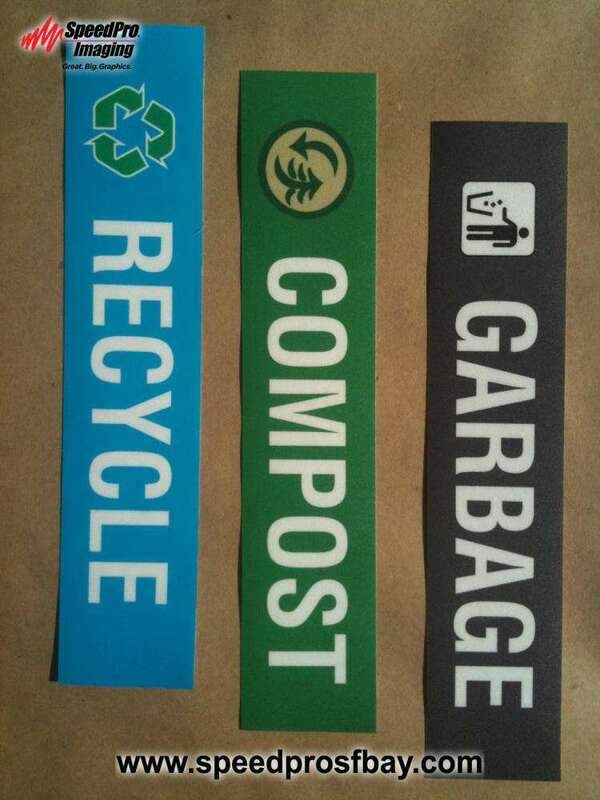 Decals are versatile, simple to apply and amazingly cost-effective for branding, informing or entertaining! Our SpeedPro team is is comprised of professionals dedicated to increasing your brand recognition. Working directly with you, we’ll help you pinpoint the best visual solution that reflects your targeted message.We have experience in design, marketing and business and also the best color-matching practices around. 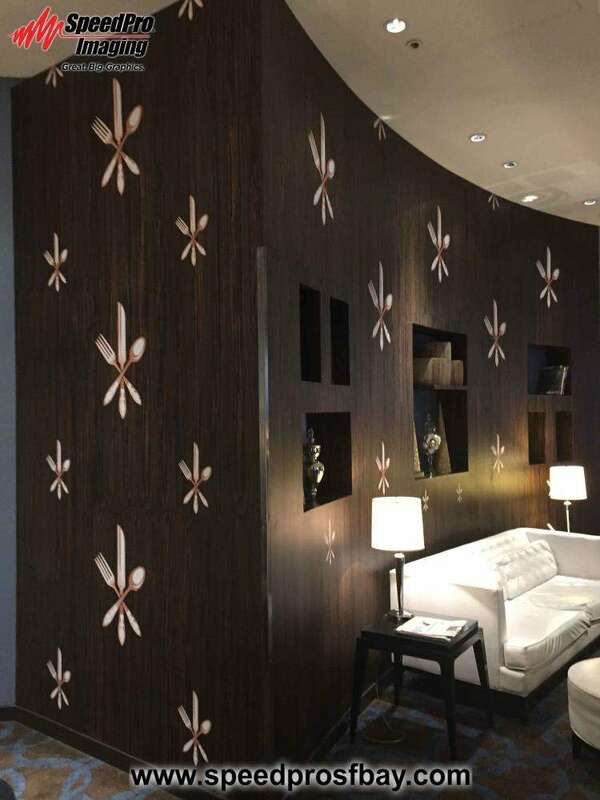 At SpeedPro of SF Peninsula, we can create branded decals designed to adhere to specific surfaces. If you’re concerned which adhesive is right for your image or surface, ask one of our professionals to find the right pairing for you. With options like changeable, repositionable, semi-permanent and permanent we’ll make sure your vision sticks — or peels off easily, depending on your needs.